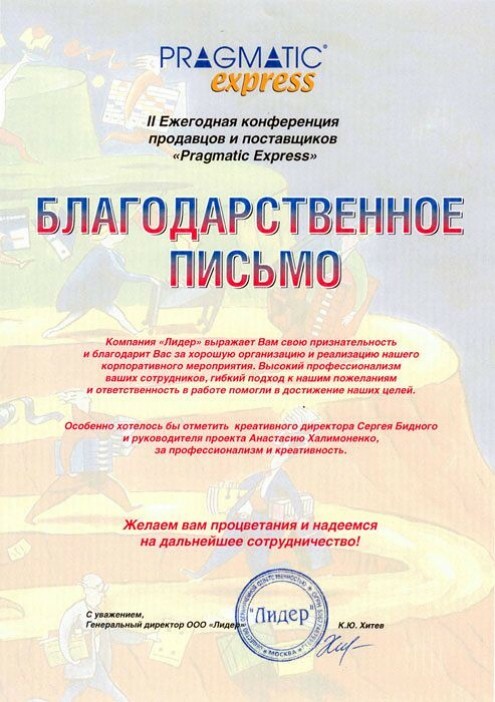 Company «Pragmatic Express». 210 people. Moscow region. As part of a 3-day conference for managers and suppliers «Pragmatic Express», one day the guests went to gain magic stones, overcoming obstacles of the Fort Boyard. In addition to logical and active jobs quest, each team performed a creative team assignment: the reproduction of a famous paintings. The company expresses its appreciation and gratitude for well organization and realization of our corporate event. High level of professionalism of your employees, flexible approach to our wishes and responsibility in work helped in achieving our goals. Wishing you prosperity and hope for further cooperation!